Floor Area: 64,486 sq. ft. 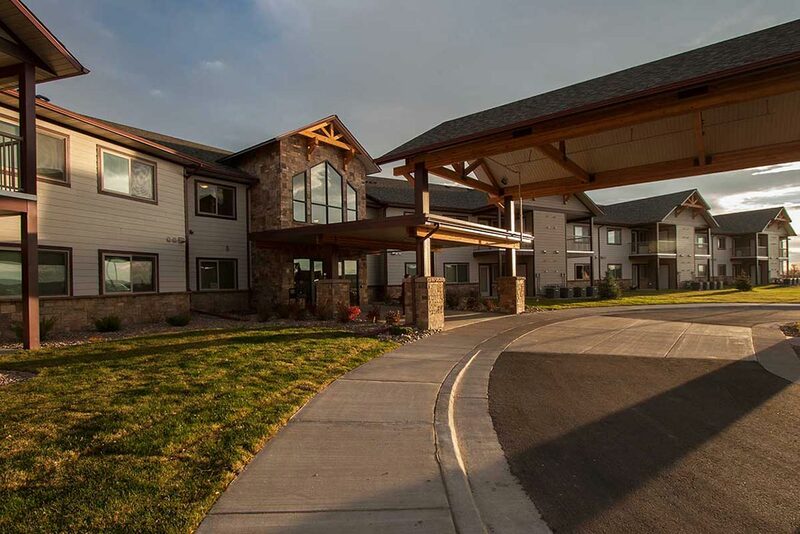 This two story, 56-unit, senior apartment project along with 56 on-site garages was developed in 2 phases in partnership between Benefis Health System and Mountain Plains Equity Group. This affordable senior housing project was designed with sustainability and energy efficiency in mind, and was awarded LEED for Homes ‘Silver’ certification by the USGBC (US Green Building Council).